This week, USAA announced it has eliminated foreign transaction fees on all its credit cards. The move comes as a result of its decision, announced last year, to transition all its Mastercard credit cards to Visa cards. At the time, USAA said it would only be removing the fees on its Visa credit cards, but it has since opted to eliminate the fees on its MasterCard and American Express credit cards as well. The downside of the switch from Mastercard to Visa is some temporary inconvenience–existing Mastercard cardholders will receive new Visa cards with new credit card numbers and PINs, requiring them to update accounts with merchants and service providers who regularly bill their card. This switch will continue to take place throughout 2016. Previously, USAA’s credit cards charged a 1% foreign transaction fee, which was only waived if you were a member of the military on active duty. 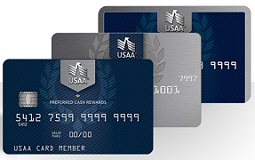 For more information on USAA credit cards or to apply, see this link.